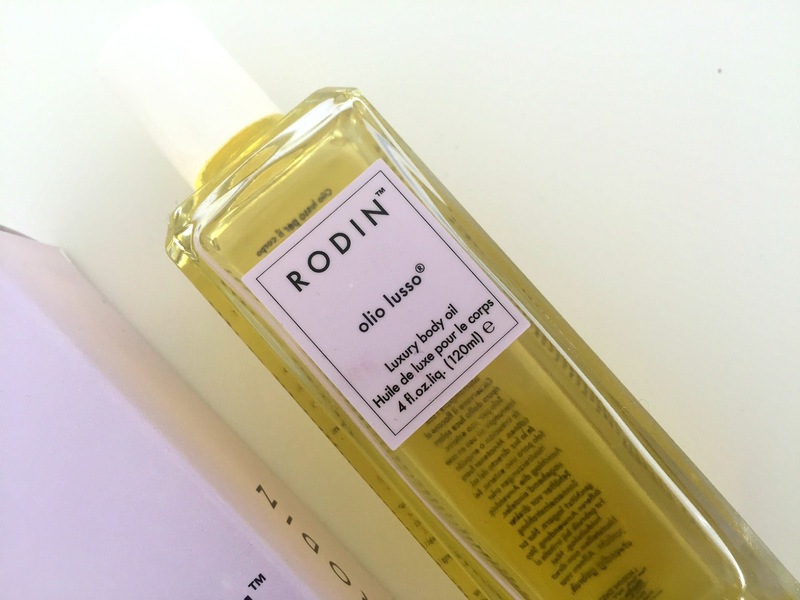 The Lavender body oil from Rodin is one of those beauty products that's almost too luxurious to use. Perfect for gifting, the yellow oil comes in a weighty 120ml glass bottle adorned with a pale purple label and packaged in a matching lavender tinted box. We all know it's what's inside that really counts though and this body oil manages to tick all the right boxes. You know how lavender is one of those scents that can smell vastly different depending on the circumstances? Sometimes it smells fresh and earthy, sometimes it's distinctly floral and then occasionally you'll come across a lavender product that just smells a bit like disinfectant? Well, I can confirm that Rodin's interpretation is pretty much spot on when it comes to what I think makes a great lavender scented beauty product- rich, natural and real. 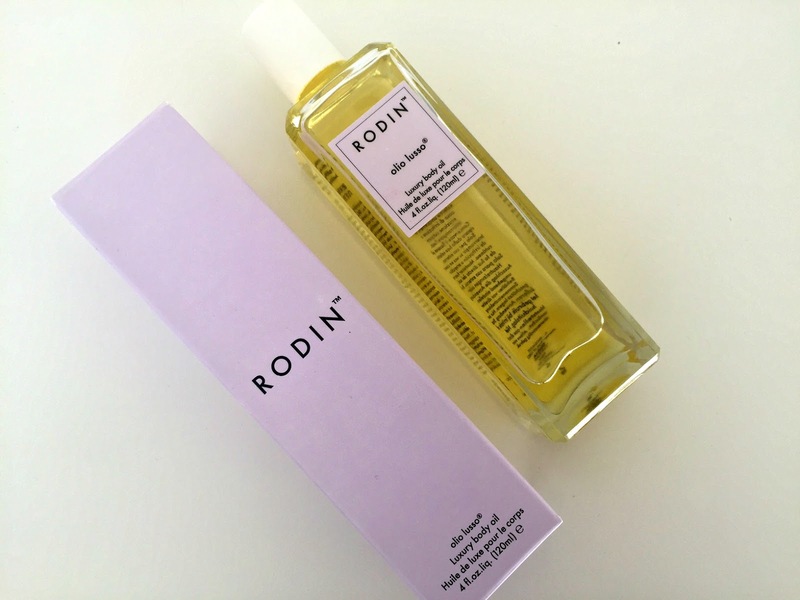 Rodin have blended their offering to perfection by combining warm and rich French Lavender Absolute with slightly herbaceous Bulgarian Lavender and mixing it seamlessly with Evening Primrose, Rosehip, Calendula Flower, Argan, Sunflower, Apricot, Sweet Almond and Jojoba oils. The result? A luxurious, calming and altogether beautiful treat for the body. Applied to slightly wet skin after a bath or shower, this oil is like cocooning myself in a comforting blanket and has become a favourite pre-bedtime ritual that almost forces me to relax. The Lavender Absolute Body Oil leaves the skin delicately scented - at first, the oil smells quite heady and earthy but the scent does dissipate a little to leave me (and my pyjamas) subtly scented. Perfect for this time of year when I rather enjoy slathering my limbs (and growing bump) in rich creams and oils, this is also a perfectly trans-seasonal product that could add easily be used to add a little moisturising sheen to bare arms and legs come next June. Rodin Olio Lusso Lavender Absolute Body Oil is £80 for 120ml at Panache Cosmetics.